Are you a teacher or parent looking for beginner piano books for your students or children? Are you having a hard time deciding which books to use? This page is designed to help you find some great books that you can use during the early stages of learning to play the piano. Also you will find some useful pointers as to how to choose an ideal book for beginner piano players. It is important to note that the beginner piano books are not written only for children, but they are also created for adults who are at the beginner level. There are several piano books that are written just for beginners. Some of these books are sold on the internet and in the nearest local stores within our reach. However, there are some books that are very effective in helping piano students achieving a good start at the task of playing the piano. What are some of the main features you should look for when choosing a beginner piano book? Here are three main tips you can use when selecting a piano book. 1. Make sure that the book has some main objectives to be fulfilled. If so, it is very important that you do a brief analysis to see if the objectives are met. 2. The book should be reader friendly with clear instructions and illustrations. Here are two books that you can use when teaching your piano lessons especially from the basics. They are; The Easiest Piano Course by John Thompson and Alfred’s Basic Piano Library – Prep Course Level. The easiest piano course by John Thompson is a series of piano lessons that starts from the basics. This piano course comes in a four book series with audio CDs for reference. However, you can buy a single book from series. Each book in this module is child friendly with cute pictures and large font sizes. Each book in this module also has basic music theory lessons between songs and simple sheet music. Alfred’s Basic Piano Library – Prep Course Level is also a very good book. It also comes in a series. For example, level 1A, level 1B, and level 2. The books include basic music theory, illustrative diagrams and simple sheet music that everyone will enjoy. The set of books from John Thompson and Alfred Music Publishers are great. You can visit amazon.com for affordable prices and also read reviews that are done by individuals who have used these books. 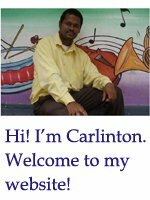 Leave beginner piano books page and return to home page.